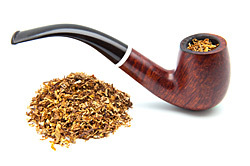 Once you become hooked on smoking a pipe as a pastime, you come to realize there is something else going on here. The pipe itself is an art form. Its beauty has lured many a person to its siren song. 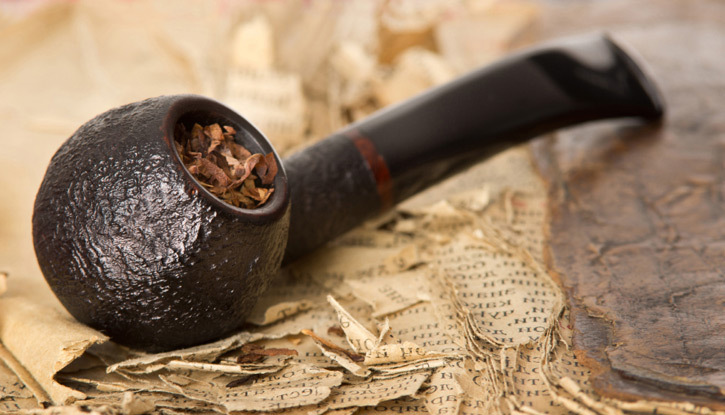 Think of the many brilliant men (and women) who have smoked the pipe, perhaps because of its utilitarian nature, but also due to the lure of its artful lines and contours. The list of exceptional and gifted people who have taken up the pipe is just too long to enumerate here. And there are many, many lists with the august names of those who have altered history in one way or the other who did so while smoking a pipe. But there is another side to this thought: pipes have also been named for painters of renown. Such as Picasso, Van Gogh, Magritte—who can forget his "The Treachery of Images (Ceci n’est pas une pipe)"? Or, as Van Gogh is reported to have said, "Great things are done by a series of small things brought together." Writers by the score smoke pipes, including Nobel Prize Winners in Literature. We count U.S. presidents in our cadre. Kings are part of the pipe corps as well. So, this is not some lowly beguilement, a passing whim. It is a serious passion, or hobby as some say. To many the pipe represents a way of life, a history of who we are and, in some cases, where we have been. For some, the pipe is a yardstick of our life, like a benchmark, or pencil scratches on a door frame, an account of our children as they grow. Yes, we are smokers, but we are searchers as well. This band of brothers is on a holy hunt, that reaches across time and space. We have a thirst that is rarely quenched. Our fire was lit in antiquity and brought down through the ages to us, who now carry on the rich and tranquil traditions. And we dare not let the voice of our passion flicker like a lit candle in the wind and flame out. We are, after all, the keepers of the flame. One of the best pipes and tobacco minds extant is Maxim Engel, self-proclaimed "Chief Smoking Officer of Pipes2smoke.com, based in Toronto, Canada. He says on his website, which if you haven’t experienced, you should, that he does not have a bricks and mortar shop to keep overhead down. This business model allows him the freedom to host the few rather than keep a caravan of pipes. He is flexible and able to explore the world of the top artists carving pipes today. "We will never handle 50 makers. 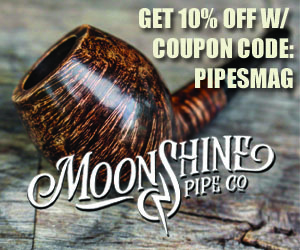 We handle a limited number of pipe makers and carry them in depth," he says on the website. The Chief Smoking Officer also sends out regular pipes and tobacco "missives," which are fun to read. 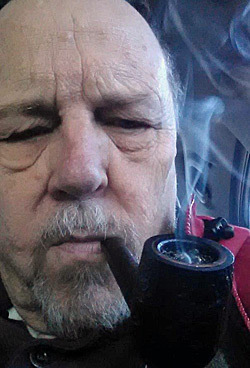 He talks about good and bad tobaccos (his opinion, of course) and how well pipes are, or are not made. Get on Maxim’s mailing list. It’s fun. For example, "I have been smoking (a) pipe since roughly Sir Walter Raleigh started this whole business. "I have had lots of perfectly engineered inexpensive pipes and only one; yes one, ever smoked as well as an aged wood pipe. I have only had maybe 2-3 aged ones that smoked, not badly, but so so." The Chief Smoking Officer will keep you supplied with lessons on how to re-humidify tobacco, to blends best smoked in a particular season of the year and Maxim’s latest recommended book to read. Check out the Chief Smoking Officer. Maxim has earned the sobriquet in spades.